Tesla’s Chinese rival is revving up, delivering 11,348 units in its first year. Nio bucked a slowdown in the world’s largest car market thanks in part to sparse competition for luxury electric vehicles. But its net loss nearly doubled, and new rivals are hitting the road in 2019. 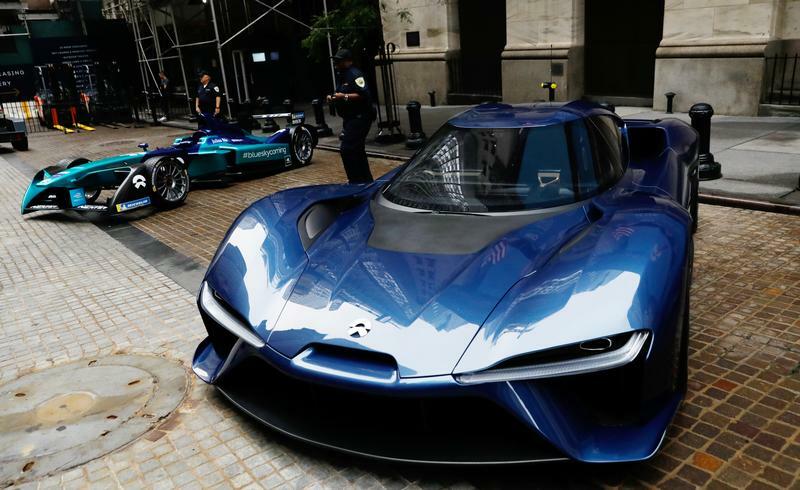 Chinese electric vehicle start-up Nio Inc. vehicles are on display in front of the New York Stock Exchange (NYSE) to celebrate the companys initial public offering (IPO) in New York, U.S., September 12, 2018. Electric-car maker Nio reported a loss of 9.6 billion yuan ($1.4 billion) in 2018, compared with 5 billion yuan in 2017, the company reported. Revenue grew to almost 5 billion yuan in the same period, their first year of sales. Nio’s shares were down 11 percent at $9.04 in extended trading after reporting the results on March 5. Car sales in China fell by 2.8 percent in 2018, compared with a year earlier, China's Association of Automobile Manufacturers said on Jan. 14. It was the first time the country’s auto market had contracted since the 1990s.